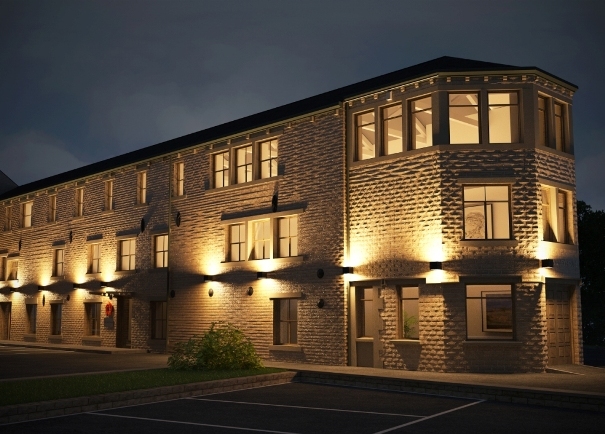 Two new lettings have been concluded at Park Valley House, the historic 19th Century mill office at the heart of Park Valley Business Park in Lockwood, Huddersfield. The 6,000 sq ft heritage building, which has been imaginatively converted to high-quality office accommodation, is now almost full. The two new tenants are healthcare business PROHMS Ltd, previously based at Penistone, and XCL Group from Holmfirth. PROHMS, have taken 1,050 sq ft of prime office space, while recruitment specialists XCL have taken 1,390 sq, leaving only one suite of 510 sq ft still available. Other occupiers of the three-storey Park Valley House include Alpha UK, Reconnect Psychology Ltd and Park Valley Huddersfield Ltd, the owners and developers of Park Valley House. Martin Duckett of Park Valley Huddersfield Ltd said that he was tremendously proud of what had been achieved at both Park Valley House and Park Valley Business Park, where more than 100 sustainable jobs have been created already. Once completed, the park should be home to hundreds of employees. Sandra Babbings of PROHMS said: “We are celebrating our 15th anniversary this year. I founded the company in 2003 and we now a 26-strong team that has supported an estimated 4,000 employees during this time. “Recognising the diverse needs of clients, we employ a cohort of extremely talented, friendly and experienced professionals, including nurses, occupational health physicians, and physiotherapists – to name just a few. “Our mission is to enhance and maintain the health and wellbeing of the county’s workforces. Without a doubt, the passion, talent and dedication of our colleagues has proven integral to us consistently achieving this goal. Meanwhile swimming pool company Concept Pools Ltd, who are relocating from Golcar, near Huddersfield, have taken 2,000 sq ft of warehouse space with offices at the 13.5-acre Park Valley Business Park, adjacent to Park Valley House. The park, which features 18 brand-new industrial units with office and storage space, is now completely full. Sarah-Jayne Lishman, of leading Leeds property consultancy Dove Haigh Phillips, who are marketing Park Valley House and Park Valley Business Park, said: “Park Valley House offers magnificent character space in an impressive heritage building. It has been refurbished to an exceptional standard, effortlessly mixing modern and historic features, whilst the views over the River Holme and Park Valley are gorgeous.